Coffee Lake on speed. 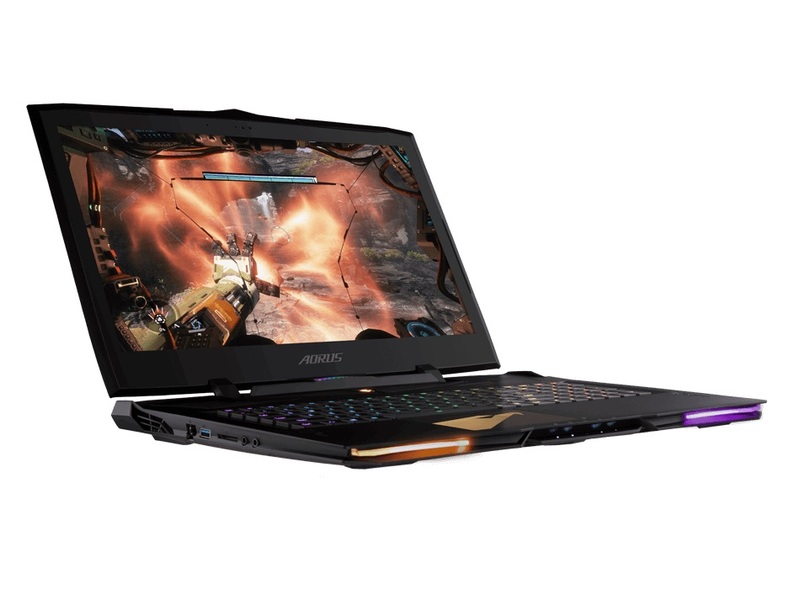 Gigabyte's Aorus X9 DT is a 17-inch high-end notebook with top-of-the-line hardware and an overclockable processor that should run every game smoothly on its FHD display. Let us compare the desktop replacement to other GTX 1080 laptops - which one will prevail? In summary, with the recent crop of Max-Q notebooks, you're paying for the design, portability, and performance. But with a laptop that doubles as a desktop replacement, you're really paying for pure performance. A desktop would deliver better performance for less money, but if you fit the profile for needing a desktop replacement notebook, this is precisely why notebooks like the Aorus X9 DT exist. The Aorus X9 DT is not a bad product. It's a powerhouse that's actually reasonably slim. It's just that it is for gamers on the fringes who want the best performance that a laptop has to offer and have the cash to spare. Combines great components to deliver the one of the most impressive portable gaming experiences available. I’m quite impressed with the Aorus X9 DT. It’s well-built thanks to its aluminium body, and for a laptop with a Core i9 and GTX 1080, it’s actually quite portable. It’s by no means an Ultrabook, but considering the full-fat GTX 1080 chip used inside, I do think it’s impressively slim. The Aorus X9 fires on all performance cylinders and has a solid keyboard, but very hot temperatures and a disappointing display hold it back. NVIDIA GeForce GTX 1080 (Laptop): Мобильная видеокарта с архитектурой Pascal, использует видеопамять GDDR5. По производительности практически не уступает настольной GTX 1080. Существует также энергоээфективная Max-Q версия. Эти карты обеспечивают наивысший возможный для мобильных компьютеров уровень производительности в 3D. Они вполне способны справиться с современными играми при высоком разрешении и выкрученных на максимум настройках графики. Однако в силу того, что данные видеокарты потребляют очень много энергии, они используются только в больших ноутбуках со слабым временем автономной работы.